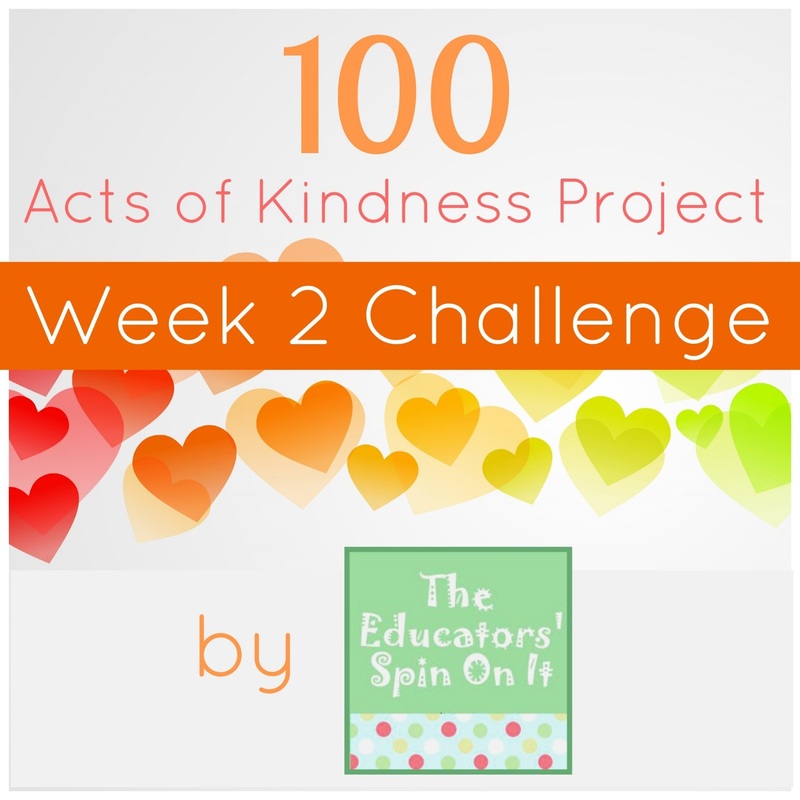 Today we are kicking off Week 2 of this year's 100 Acts of Kindness Project! Our goal is to accomplish 100 Acts of Kindness over the four week challenge (Jan 21-Feb 14) and participate in each weekly challenge (there will be four simple ones). You have all four weeks to get everything done... so don't worry if you're just joining in! You have plenty of time! 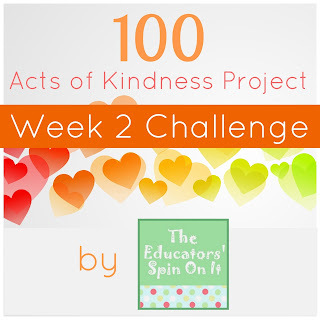 Our Kindness Challenge for Week 2 will be issued by Kim & Amanda of The Educators' Spin On It. Kim & Amanda have an awesome blog filled with book related crafts & activities, after school activities, lots of ideas for raising globally aware kids... and loads of other resources for helping you parent with a purpose! They LOVE books and organize an annual book exchange that we participated in this past year and had a blast. They also host a weekly After School Link Up each Sunday. You can find them on Pinterest, Facebook, Google+, and Twitter too. It's no surprise that their challenge for us this week is related to books! Click on the photo below to find out our Kindness Challenge for Week 2 and then come back and tell us how you are going to accomplish it! Make sure you also keep doing little acts of kindness all week long to try and accomplish your 100 acts of kindness by February 14th! Here's one little act of kindness my son and I worked on last night. 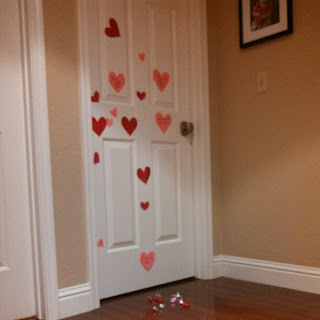 We wrote little love notes and "heart attacked" his little sister's bedroom door. We also made brownies for some friends, shared toys, let dad sleep in, cleaned up toys without arguing, and gave lots of hugs and kisses! I think we've completed 23 acts of kindness so far... so we are close to finishing our 25 acts of kindness goal for last week! What are simple acts of kindness that you and your kids already do? My goal this week is to be a more thoughtful friend and sibling. I get to go on a little trip at the end of the week (just me and the baby) to go visit my mom and sisters... so I am excited! I will have loads of opportunities to be kind to my siblings this weekend. How are you keeping track of your acts of kindness? We made kindness hearts last week... and I'm trying to decide what we'll do this week. Do you have any pictures to share with me? Feel free to post yours to our Facebook wall!! In addition to this week's awesome book inspired challenge by The Educators' Spin On It, we also have a sweet USBORNE BOOK GIVEAWAY to share with you today! 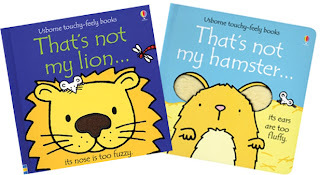 We will be giving away two book packages to two Toddler Approved readers. 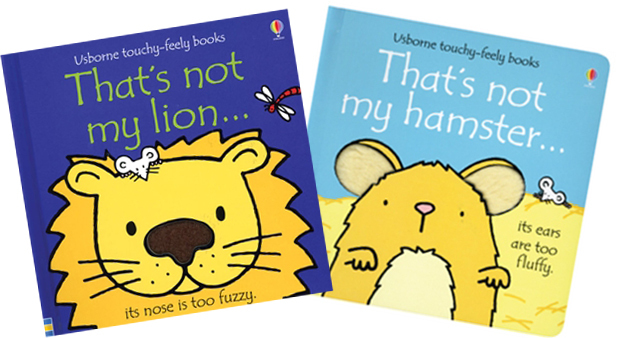 If you have a toddler, they will love these touchy-feely books. We read them again and again and again at our house. They are simple and introduce toddlers to new words and textures. We love That's Not My Princess and That's Not My Angel too. 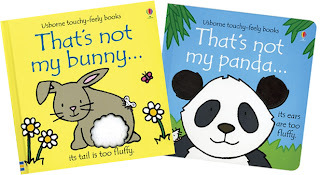 You can find more Usborne books at the My Usborne Reader website, and over on Facebook and Twitter. If you register to enter the Usborne Newsletter you are automatically entered into their monthly contest to win $50 in free books. The random entry will be drawn on Monday, February 4th and announced on this post. I will notify the winner via email. Loading... I am so excited that you chose to join us in this challenge. If you are just finding out about our challenge, head on over to our 100 Acts of Kindness Challenge landing page to find out all of the details and stay up to date. Disclosure: These Usborne touchy feely books were provided for free by Jennifer @ My Usborne Reader to give away to Toddler Approved readers. PS- I have a special post tomorrow with some ideas for beating winter boredom and the indoor blues. I'm also sharing a sweet prize package when you sign up for BabbaCo's newsletter... which is filled with fun craft ideas, parenting tips, and kid friendly recipes. Thank you so much Kristina for sharing our act of kindness. There have been so many great ideas shared so far and I'm already seeing a change in my daughter and how shes thinking if others. Love the giveaway! Thanks for inspiring all of our families with this project!